A Mens Shrek Costume including a padded Top, Trousers, Hands, and Mask – Ideal for a TV & Film theme, or any spooky fancy dress occasion! 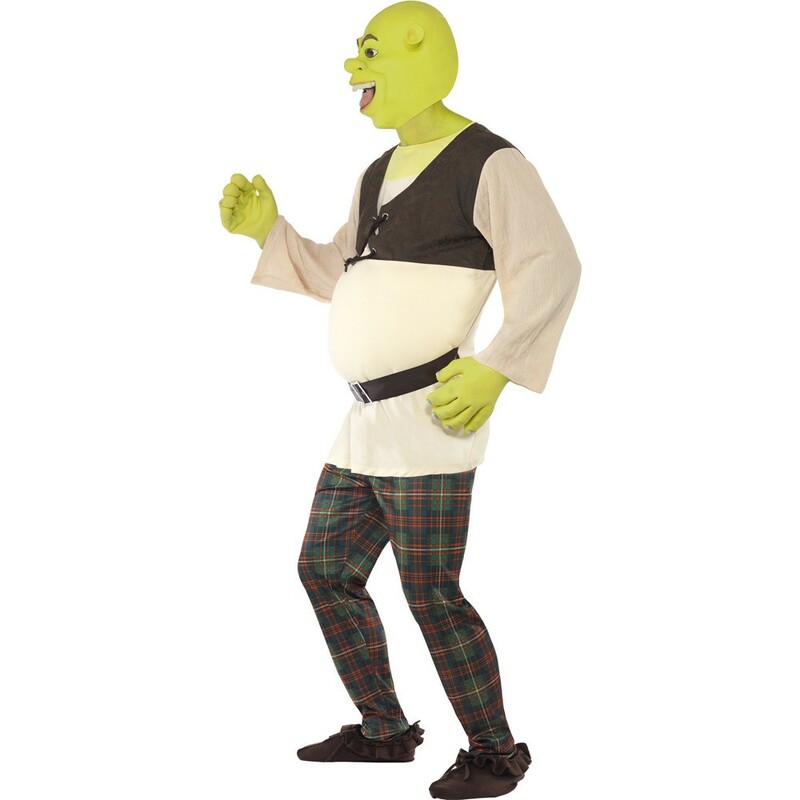 Transform yourself with this fantastic Mens Shrek Costume. 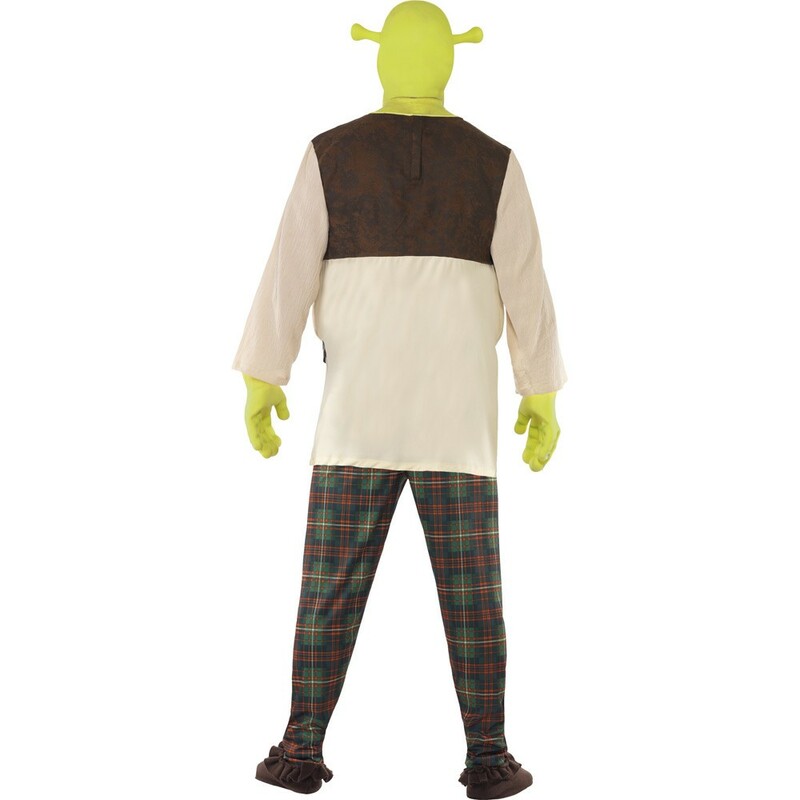 This official licensed Mens Shrek Costume includes a Padded Top, Trousers, Hands, and Mask. This brilliant costume includes a padded long sleeve Top, and combined with the green and red check Trousers, this Mens Shrek Costume will be sure to make you stand out from the crowds! No matter what the occasion! The Mens Shrek Costume also includes a pair of green latex Gloves and an authentic green latex Character Mask with a Shrek design, to complete this fantastic look! Perfect for a TV & Film theme, or any fancy dress occasion, you’ll be sure to stand out from the crowds! 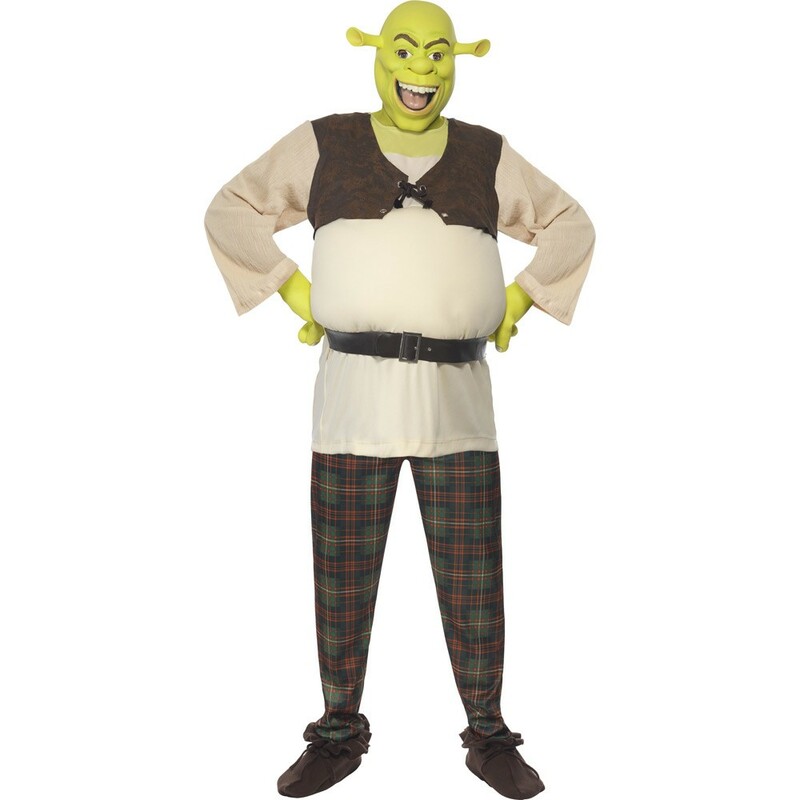 Be the knight of the party with this amazing Mens Shrek Costume! Available in sizes Medium, and Large. Size guidelines: to fit up to a 38-40” Chest, 42-44” Chest, and 46-48” Chest.